It took until June 12, 1980 for Arizona to decide it was not ok for farmers, cities, developers, and businesses to pump as much groundwater as they wanted,whenever and wherever they needed it. By that time, water users in Maricopa County were depleting 30 times the amount of groundwater that was naturally replenished through rain and snow each year. The 1980 Arizona Groundwater Management Act slowed this relentless mining of groundwater in the state’s most heavily populated areas, called Active Management Areas or AMAs. The Act continues to be the nation’s most forward thinking law for managing groundwater and is a major reason why Arizona has reduced water consumption despite rapid population growth. When too many wells pump too much water from the ground, bad things happen. 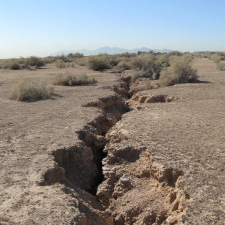 The ground shifts, causing home foundations to crack. Poor quality water migrates to drinking water wells and energy and water costs go up. But the biggest problem with groundwater mining is that it is unsustainable. Naturally occurring groundwater accumulated slowly over past geologic ages and pumping this precious resource means it will not be there in the future. The goal of the landmark Groundwater Management Act is to achieve "safe-yield," meaning that no more groundwater is pumped than is replenished annually. This important objective preserves precious groundwater as a savings account for times of water shortages. In AMAs, the Act prohibits new agriculture, mandates water conservation, limits new wells, and prevents urban growth without a 100-year water supply. The AMWUA cities understand the importance of preserving groundwater and have been stalwart supporters of the Act. They have stretched their drinking water supplies by implementing more than 300 measures among them to conserve water and by reusing nearly all of their treated wastewater. They have added to their water supplies by storing over 1.6 million acre-feet of excess surface water and treated wastewater underground. (An acre-foot is enough water to supply the annual needs of 2.5 households.) Today, the AMWUA cities rely on naturally occurring groundwater for only 7 percent of their needs. Despite the efforts of the AMWUA cities, the Arizona Department of Water Resources and other concerned parties, groundwater mining continues in many parts of the AMAs, to the detriment of our State. We must further restrict groundwater pumping. 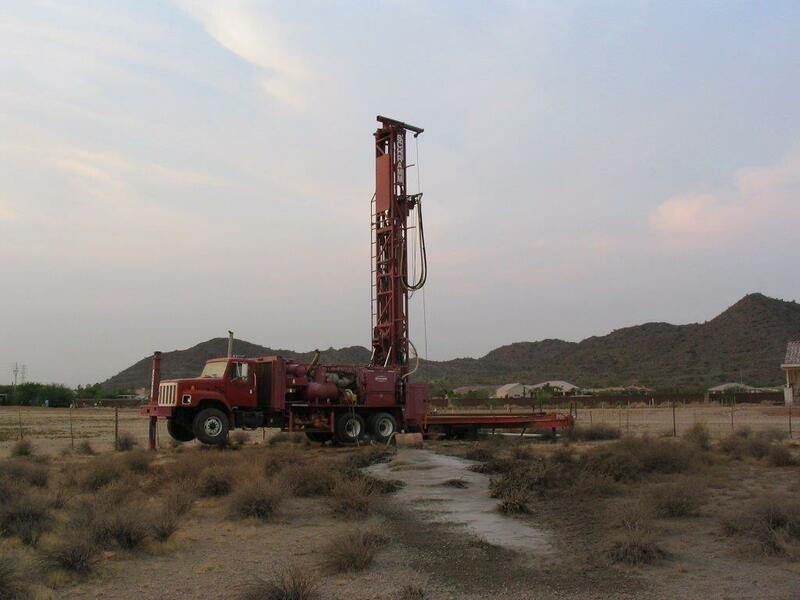 A drill rig finds groundwater in the desert. We should increase limits on where new wells may be drilled. We should curb groundwater use for new residential subdivisions. We should promote smart growth on land with access to surface water and other renewable supplies. We must ensure that water stored underground is protected for use in the future by those who have made the investment to put it there. Outside of AMAs, the problems of groundwater mining are even more severe, because any landowner may drill a well and pump any amount of groundwater at will. Many rural areas are now suffering the consequences as wells dry up and competition for groundwater increases. These problems will only get worse without action. As we celebrate the 34th anniversary of the Groundwater Management Act, there is work yet to be done. In the coming weeks and months, groundwater issues and potential solutions will be explored in greater detail. Stay tuned.